Mia Fineman: I started at the Met in 1997 as a research fellow, while I was finishing my dissertation at grad school. My dissertation was on German Modernist photography between the Wars, and the idea of the camera as a prosthetic eye. I was a fellow for two years and then I was hired as a museum staff member (a research assistant) and I worked my way up. DP: Over that time, what are some of the changes that you identify in your field? MF: When I first started, photography was still in a little bit of a ‘ghetto’, in terms of the commercial art world. There were more galleries that were just devoted to photography and no other media, but now photography has become more integrated in terms of commercial galleries. There is also more of a movement in the last five years for museums to integrate photographs into displays with modern art. DP: Given that the relationship between photography and other mediums of art is constantly changing, how does that impact upon a photography department? MF: Well, it’s an issue that curators and museum people discuss, for instance whether there is any need for a separate photography department in museums, and whether photography should be integrated into nineteenth and twentieth century art departments and contemporary art departments. DP: I assume as a photography curator that you believe in the idea of a photography department? MF: Well I do, but I know other photography curators who don’t. For me it’s partly an issue of storage. Older photographs have different storage needs than paintings and sculptures, so it’s easier to store all the works of one medium together. Except when you get to contemporary photographs, which are on a scale that’s more akin to large-scale paintings and installations, or video art. Then it really doesn’t make sense to separate them anymore. On a more scholarly level, I think that photography has its own history that goes beyond art, and that photography was part of every aspect of modern life from the moment it was invented. That includes science, industry, technology and medicine, and pretty much everything else that involves images in any way. So to integrate photography into a modern art department would be to minimise the specificity of photographic history as a medium that straddles both art and non-art domains. DP: Can you tell me about your collecting policies at the Metropolitan Museum of Art? MF: We have an encyclopaedic collection, so we’re always on the lookout for all kinds of photography. Part of the collecting is opportunistic, we look at things that are coming up auction and things that dealers have available. On the one hand we have collecting goals, or acquisitions that we’d like to make, based on the fact there are certain parts of the collection that are weak or that we see as gaps that we want to fill. When you’re collecting any kind of object, you can’t always just go out and find it right away. You have to look for it over a period of time. So it’s a combination of looking for specific things to fill gaps in the collection and then just keeping our eyes open for things that come along, where there’s an opportunity to acquire something that’s just become available-a collection that’s being broken up or something that somebody found in an attic, for example. DP: Under what sort of conditions do vernacular or ‘non-art’ photographs come into the collection of the Metropolitan Museum of Art? MF: Mostly through dealers. Dealers are kind of the scouts, going out and finding things, and finding the people. We sometimes go to auctions or flea markets on our own, but generally we work with a few vernacular photography dealers who have very good sources. DP: Are there particular vernacular photography dealers? MF: Oh yes, and they have pickers out in remote places and they go to far-flung auctions, and they get to the flea markets at 5am and buy up the good stuff, so we can’t really compete with them. DP: How close to the contemporary does that kind of collecting go? MF: Vernacular? I don’t know, I guess probably up to the mid-twentieth century. We’re not acquiring much vernacular stuff that’s more recent, although there are occasionally exceptions. For instance, we have been talking about how to collect important news photographs. The problem is that nowadays news photographs are born digital – how do you collect digital work when there is no print being made by an artist? DP: Does the Met only collect prints? MF: We don’t collect individual negatives, unless it’s a nineteenth century negative that can be exhibited on its own. We just acquired one beautiful, large paper negative where there is no extant print. We also have a couple of artists’ archives, the Walker Evans archive and the Diane Arbus archive, and we have their negatives, but as a general rule it’s not something we collect. DP: Working at the Metropolitan Museum of Art, how do you decide whether a particular body of work belongs here or perhaps would be better in a library context or in another kind of collection? MF: Mostly that comes up when we’re considering a major work by a known artist, in which case we will generally try to avoid duplicating other prints in New York. So if MoMA has a print of a particular well-known image, we don’t necessarily feel that we have to acquire that. We might get a different image by the same artist. There is certainly some overlap but we’re aware of not wanting to have five identical photography collections in New York City. In terms of whether something would go to a museum or a library, it’s not really something that comes up. If we see something that we think is great, we’ll try to acquire it. DP: But what is ‘great’? Is it to do with artist excellence, or a unique vision of an artist (whereas libraries are more interested in documentation)? MF: It’s a combination of power or resolution in terms of the picture being interesting to look at on a formal level, as well as historical significance-not always in terms of it being known or influential in its own time but perhaps being connected to particular historical movements. We just acquired a suite of photographs by Duchenne de Boulogne of different physiognomic tests that were done to show facial expressions. With something like that, it was definitely not made as art, it was made as scientific documentation, but it’s so important in terms of the history around it and the ideas of Darwinian evolution and physiognomy and nineteenth century science and pseudo-science that it was something we felt should really be represented in the collection. DP: Beyond the museum, photography is more popular than ever in our digital age. Arguably this makes the curatorial role of selection and contextualisation more important than ever. Yet traditionally, galleries enshrine the singular ‘object’ rather than the ‘image’, as it were. How do you think museum are or might be starting to engage in representing digital images? MF: We have an internal time-based media working group that involves people from different departments-photographs, modern art, digital media-who are investigating how to collect and preserve non-traditional media. There are all kind of issues around collecting things that are not quite objects, or that are objects that need to be transferred from one format to another. It’s very complicated and we’re also working with other museums who have similar groups, trying to figure out how to deal with it on a practical level. So that’s an important part of our thinking about this, because we always need to find practical solutions for collecting things, including digital images. We do have a few works by artists that exist as digital files. When we want to show these works we have permission to create exhibition prints that are put on the wall and destroyed at the end of the show. That’s one example of how we deal with images that are born digital. Video art can be kind of a nightmare in terms of preservation and display because the technology keeps changing so rapidly. DP: How is video situated in the Met, is it within the contemporary art or photography departments? MF: It’s in both. The department of photographs started collecting video art in the 1990s and at that point we set some parameters. We couldn’t really go back and collect the whole, previous history that we had missed, but we tried to represent the history in some form. Then going forward we concentrated on mostly single-channel video works that could be displayed in a gallery with other works, without having to be in a separate darkened room. DP: Video art with a ‘photographic’ quality? MF: Yes, video art that relates to photography in some way. We’ve started to move away from that now. For example, right now we have a film showing in a darkened part of the gallery upstairs. The modern and contemporary art department is also collecting video art and they have the capacity to set up larger installations. They’ve just acquired a huge William Kentridge installation that relates more to contemporary art than it does to photography per se. DP: As a curator, have network cultures-the photographic image onscreen and online-altered the way you research and think about display? MF: It definitely changes the way that I do research. Like everyone else, pretty much my first recourse is Google. I also look in online library databases, photographers’ websites and blogs. So that’s definitely changed the way I do research. But in terms of exhibitions, not so much. You still have to think about the physical space of the museum and what you’re going to put in it or on it. Our domain is the physical galleries themselves. However, the museum’s website is getting better and more sophisticated and there’s a whole department at the museum devoted to digital media. DP: At the moment, the Museum website complements and largely replicates the exhibitions. Can you envisage a time when the website itself might actually be part of an exhibition? MF: Yes, I think that’s inevitable. The museum would be very open to that kind of thing, because the whole idea of the website is to reach people around the entire globe who can’t make it here in person. DP: Do you sense any changing expectations from the public about photography displays? MF: I wish I knew, but I don’t know. DP: Or from the director or trustees? Are they involved in thinking about these issues? MF: The director is involved in the sense that he approves all the shows and he is very interested in expanding the museum’s digital presence. But fortunately we work with a lot of independence as curators, so we don’t get too many edicts from above about how we should be doing our shows. We might get an ‘I like that’ or ‘I hate that’! DP: If we can future-gaze for a moment, you said that the web might become part of the photography department’s domain in terms of its display space: can you think about how your role as photography curator might be different in twenty years time? MF: We are already on the way to having every museum have their entire collection digitised and online. We’re on the way, we’re not there yet, but I hope that in twenty years time you can at least do your preliminary research online by looking at museum databases, so that you know where you need to travel in order to see the real prints. That would save a lot of time and money in terms of travelling to collections-although it’s always a real pleasure. One of the most fun parts of the job is travelling to other collections to the actual objects pulled from the vaults. But it would make the whole research process smoother if you could preview things online. DP: Any final thoughts about the medium of photography in the museum that we haven’t touched upon? MF: One of our biggest challenges is storage. As photographs get bigger, we need places to put them, and that’s a perpetual problem. By the way, I forgot to mention that there’s a show currently on display that relates to your interest in vernacular photography. It’s an installation of snapshots that are now part of the museum’s collection. I worked with the collector Peter Cohen, who lives in New York and has been an obsessive collector of snapshots for years. He has amassed a collection of some 30,000 snapshots over the last twenty years and is now in the process of giving them away to various institutions. He invited me to go through his collection and take what I wanted for the museum. DP: That’s very generous, how did you choose the images? 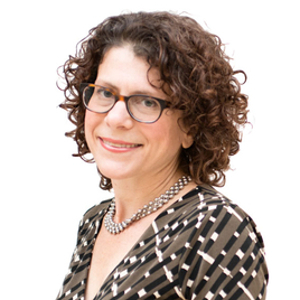 Mia Fineman is Associate Curator in the Department of Photographs at the Metropolitan Museum of Art. Since joining the Metropolitan in 1997, she has organized numerous exhibitions, including Other Pictures: Vernacular Photographs from the Thomas Walther Collection (2000), On Photography: A Tribute to Susan Sontag (2006), Night Vision: Photography After Dark (2011) and Faking It: Manipulated Photography before Photoshop (2012). She has also written on art and culture for many publications, including the New York Times, Slate, Village Voice, Artnet, and McSweeney’s.